Hi PandaBear. 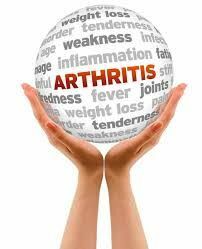 Moving is key when you have arthritis. Start slow, I do walking in place. This year I plan to start yoga poses as I have RA, Fibro & other health issues. Like you I'm 61 & hope to lose 60 lbs this year. Adding strength training is also important for your bones. I just recently broke my wrist & have osteoporosis so I'm learning the hard way. You can do it. Keep pushing yourself forward as you are worth it. Good to hear from you PandaBear. I can relate to the fact that a 50 lb weight loss would be a good thing. It would certainly help the knees. I am in your age bracket (60) and know how hard it is to take off pounds. It seems easy to gain but so difficult to lose. Anyway, keep as active as you can for it is important that we keep on moving. I don't get support from DH either - he is an excellent cook so I eat what is put before me. i have been some what active with SP, but not too much with this team...i had joined, but have been quiet. i would love to be come more active here as i have arthritis in my knees and hands and need to loose about 50 pounds and i need incentive to get moving. i'm 61 yrs old soon to be 62 in Mar of 2015. i live in Pa. am married, but do not get support from DH. i have 5 cats, 2 dogs and a horse i care for. i try to keep moving because if i don't i stiffen up. need to do inside exercises at the moment due to snow and ice and cold weather.